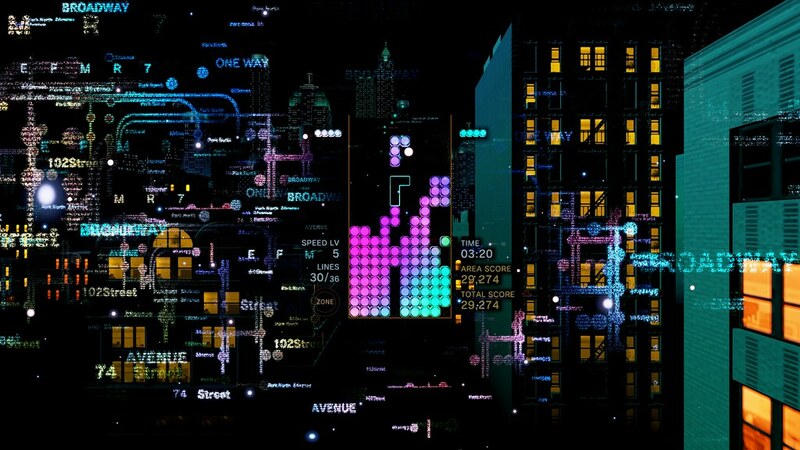 There are lots of ways to play Tetris. Generally speaking, though, you’re pretty much always going to be trying to get a big ol’ stack set up while leaving a single column open for the infamous long (or line, or “I”) block. Use that long block to clear four lines at once and earn a Tetris, usually accompanied by a hefty score bump. Bonus points (no, really, in most Tetris games you get bonus points for this) if you can score back-to-back Tetrises, or back-to-back-to-back Tetrises by using your held pieces wisely (and stumbling upon the rare double line block drop). 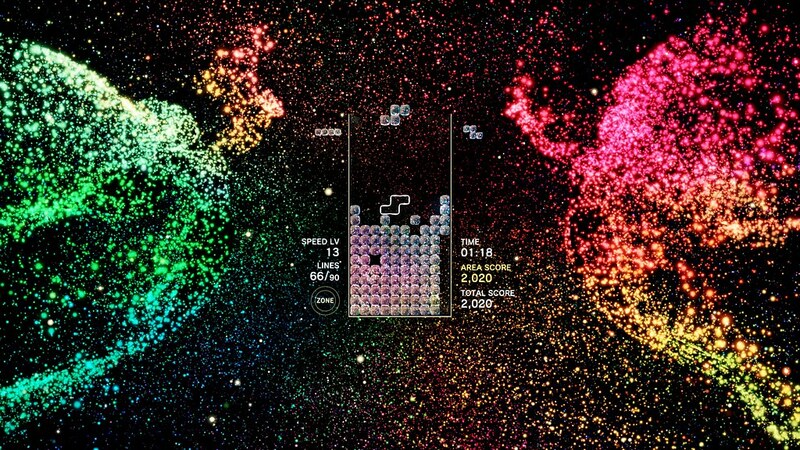 Sure, the ghost piece at the bottom of your playfield is easy to keep your eyes locked on, but as you start getting better at Tetris and pieces start dropping more quickly, keeping your eyes glued to that one spot can cost you precious milliseconds of reaction time. 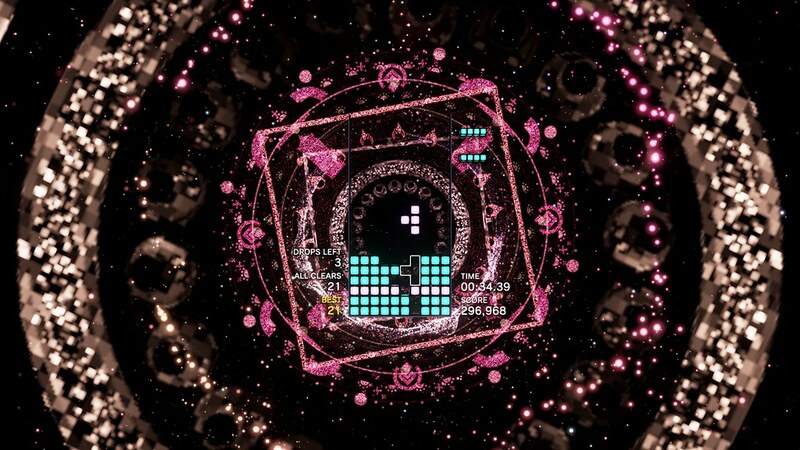 Knowing what piece is coming up next (look at the top-right corner of the playfield in Tetris Effect) can mean the difference between a Decahexatris and a demoralizing defeat. 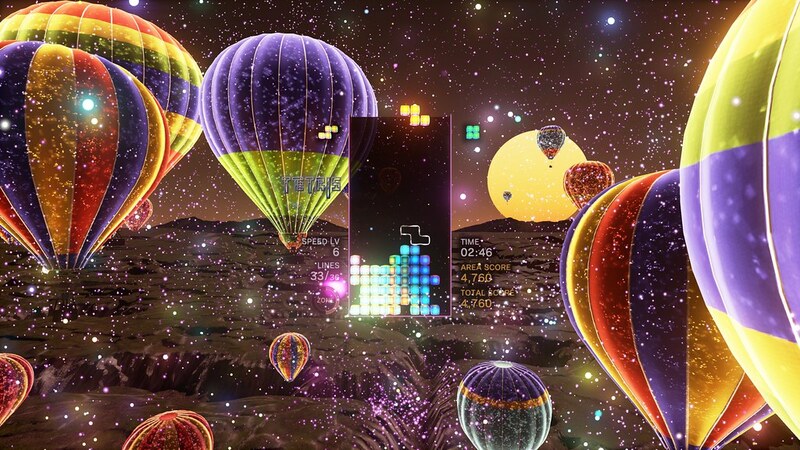 This tip is specific to Tetris Effect, as it pertains to the new “Zone” mechanic Enhance has introduced. On its surface, going into Zone mode is a great way to recover from a tough situation (since, ya know, it stops time and all), but it also affords more advanced players with new strategic options. When you enter the Zone, lines you clear no longer count toward your progress toward the next level. If you use it efficiently, this means you can stretch levels out far longer than they would usually last, ultimately resulting in far more points tacked onto your final score. Not to mention the massive bonuses you get for clearing more than 8 (Octoris), 12 (Dodecatris), or 16 (Decahexatris) lines at once during a single Zone activation. Do not ignore this mechanic! This one’s a bit more of an advanced tactic, but it’s worth ingraining into your playstyle early on. I grew up playing Tetris before T-spins were really a thing (or at least before games started handing out generous score bonuses for them) so I’m still struggling with this myself, but it’s important! A T-spin is when you spin a T-block into an open T-shaped space that is obstructed by other pieces. There are lots of tutorials out there that can do a much better job than I can explaining the how here, but I’d encourage you to start small learning how to pull off some T-spin double line clears, then once you’re starting to feel comfy with those move on to trying to set up some triples. This is the most important piece of advice I can impart on any aspiring Tetris Grandmaster. No matter your skill level, you’re going to end up in tough situations. If you find yourself creeping further and further toward the top of the screen, try not to let your increasing heart rate and sweaty hands distract you from the task at hand: clearing those blocks. 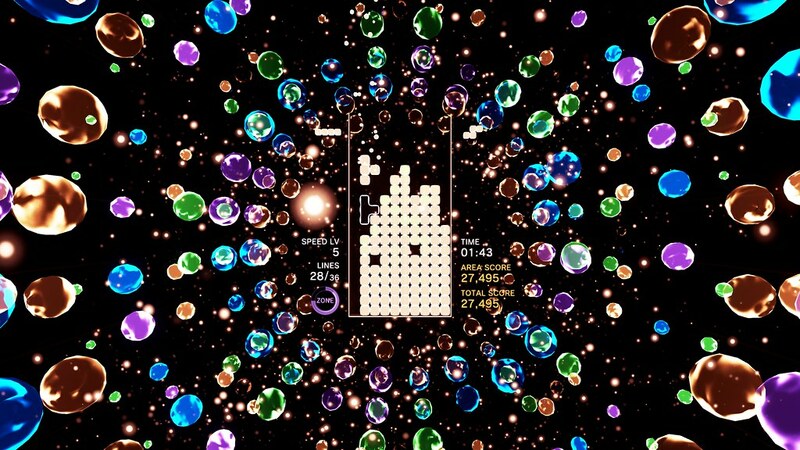 It’s almost always possible to recover from even the most desperate situations in Tetris, and remaining calm will increase those odds.